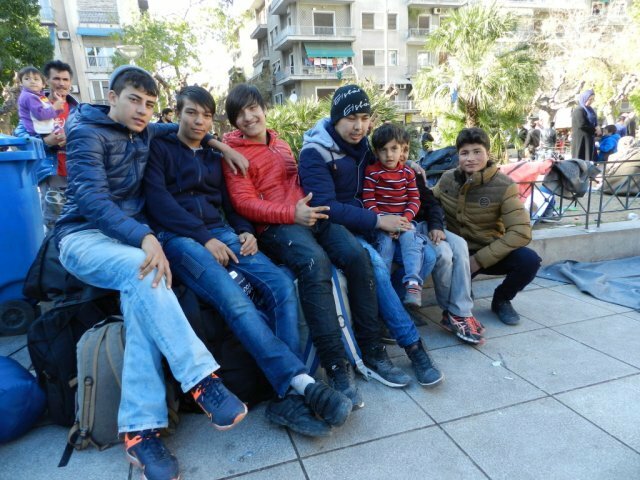 Julien Anseau, ChildFund’s Global Communications manager, recently accompanied our assessment team as they travelled through Turkey, Greece, Macedonia and Serbia to evaluate the needs of migrants from Afghanistan, Iraq and Syria – in particular, children. This is his first report from the field. In central Athens, Victoria Square is inundated with migrants from Afghanistan, Syria and Iraq waiting to board buses to the Macedonian border. According to the International Organization for Migration’s last update, 418 people — including children — have died in the Mediterranean Sea in 2016. Migrants pay smugglers anything between €460 and €1,100 and take their chances aboard unseaworthy rubber boats in a desperate bid to reach Europe. Around Izmir’s Basmane Station, shops sell everything migrants may need, as well as things they don’t. 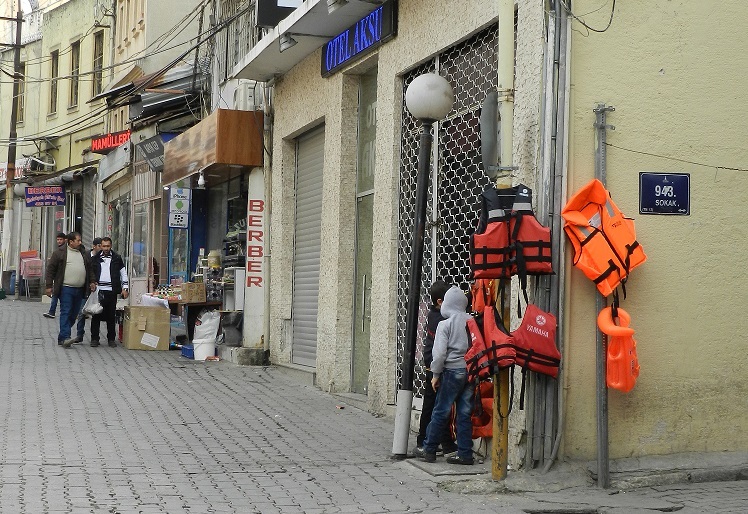 Merchants do a brisk trade in life jackets, which cost about €23 each and are sometimes useless. This is just one of many examples of people making a quick profit on migrants’ desperation. Hamid, who says he is 20 years old but looks younger and may in fact still be a minor, describes his harrowing ordeal on the boat from Turkey to the Greek island of Lesbos. Ali, a man in his early 30s from Bamyan Province in central Afghanistan, says he hoped to complete his studies so he could rebuild his life away from the pervasive violence of his homeland. He was anxious to recharge his phone so he could tell his family that he was safe and learn the latest news on the migrant crisis. “There are a lot of rumors and hearsay,” he says. “I heard that countries are closing their borders. I want to check online for myself.” Ali has kept in touch with friends further along the route to Germany, who relay practical information and advice.